Marketing text: Simply right click + copy any marketing text you’d like to use to promote these events. Is your sound system operating at its full potential? Pat Brown will present solid, efficient methods on how to interface and optimize sound systems, including analog and digital interfaces, gain structure, grounding, and basic equalization principles. Attendees will learn the “why and how” behind the numbers in a logical way through demonstrations and analogies. As the name implies, this is the technical part of audio, essential for making sure the audio system’s potential is fully realized. See what others are saying about this seminar. Earn 16 RUs and 10 CEDIA CEUs. Why should I chose SynAudCon? Meet your instructor, Pat Brown. Here’s the hotel and travel details. Bonus! Includes 1-year SynAudCon Membership. 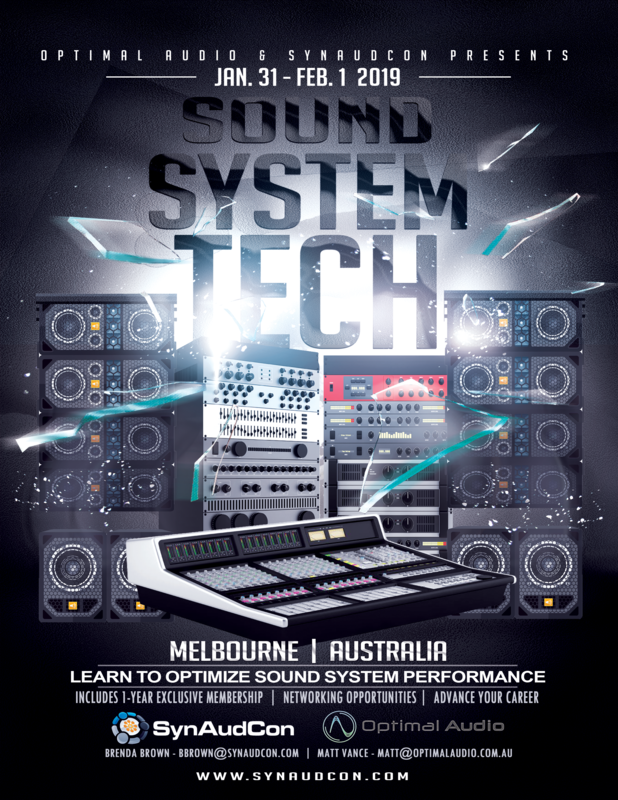 This special one time event will spend 2-days on Sound System Design and 1-day on OptEQ “Equalization Demystified”. Pat Brown will present a logical, intuitive, comprehensive approach to sound system design. 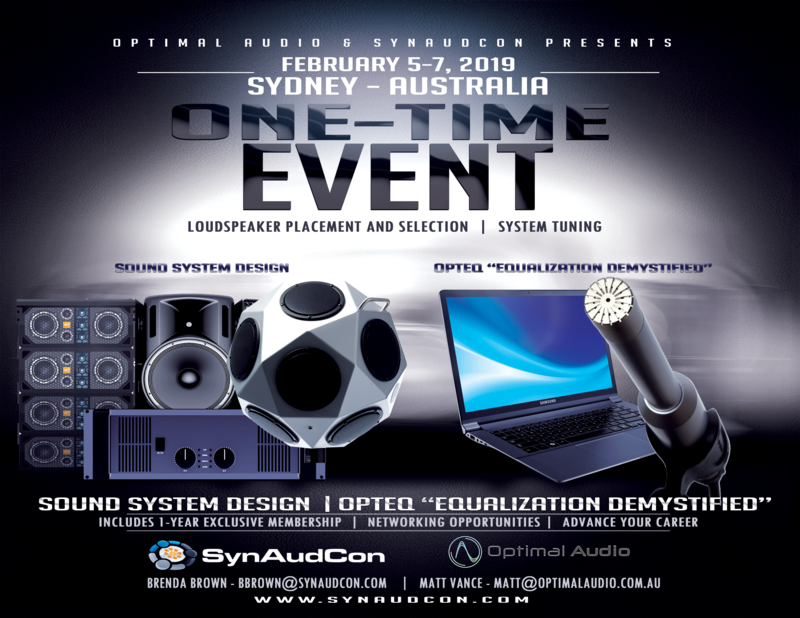 On day 3, he will present a comprehensive approach to sound system tuning that combines contemporary and legacy design and equalization practices into a logical, accurate, repeatable process. Sound System Design and OptEQ normally are 3 days of instruction each. This course will consist of excerpts from each. Click on the below links to watch a descriptive video. Earn 24 RUs if you attend all 3 days only. Image files: Simply right click + save as and the full size download will start. If you request a PDF version, use the link below each image. Clicking it will start the download automatically. Questions? Want additional marketing materials?